Fresh coffee all year round! No need to be caught without beans for home! Take out a subscription of our delicious coffee and receive fresh beans in the mail every month. Be a better barista - Make better coffee! 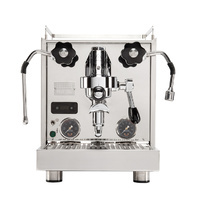 If you are looking for a new espresso coffee machine (not expresso machine!) for home or office or you are interested in coffee classes to improve your barista skills you have come to the right place. Browse our coffee machines, accessories and barista courses or call us for the best advice available! We freight coffee machines Sydney wide, coffee machines Melbourne wide, in fact all over Australia (overnight to Sydney, Melbourne, Brisbane and Canberra). We guarantee that you can make great coffee at home. We have the range, the barista skills and the technical know-how to overcome anything that may stand in your way. We stock all the top brands of Coffee Machines such as Profitec, Lelit, ECM, Rancilio (Rancilio Silvia and Rocky), Vibiemme, Diadema, Expobar, Isomac, Wega, Rocket Giotto and Bezzera, and the top Coffee Grinders such as Profitec, ECM, Lelit, Mazzer, Compak and Macap. Jetblack is different from other retailers of coffee machines. We don't sell coffee machines that can't make real espresso. Many coffee machines available from department stores and online are claimed to be able to make espresso but the resultant brew can be very disappointing. 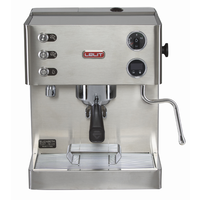 The espresso machines we sell are guaranteed to produce the rich, sweet espresso found at the best espresso bars. 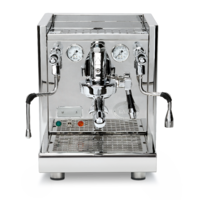 Combined with a quality coffee grinder and in the hands of someone who has untertaken some barista training, for example our home barista course, these coffee machines extract the rich coffee oils out of freshly gound coffee to produce real espresso. Come in or call and discover how good espresso can be - at home!